Start The Talk, by Kognito, is an Educational, Role-Playing, Online Serious Game to help players learn the do’s and don’ts of talking to kids about underage drinking. It is one of Games for Change 2014 award nominees, in the Most Significant Impact category. Start The Talk Serious Game is part of Substance Abuse and Mental Health Services Administration (SAMHSA) underage drinking prevention PSA campaign “Talk. They Hear You.”, launched in May 2013. The campaign is intended to help parents and caregivers start talking to their children early—as early as nine years old—about the dangers of alcohol, before they become teenagers. In the game, players have the opportunity to develop conversational strategies to approach, educate and build trust with their own kids about drinking. 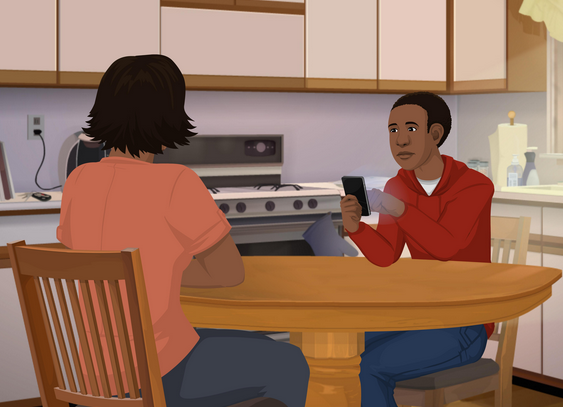 Players are presented with options on how to engage in the conversation as the avatar mom and her son, Michael. His responses are realistic and supported by thorough psychological studies, allowing parents to observe how a hypothetical scenario plays out. The game also gives players a list of goals to achieve during the conversation, such as informing Michael about drinking and building his trust. As the conversation progresses, the game lets you know how you’re doing — whether you’re heading in the right direction or might want to reconsider strategies. When Michael withdraws or gets defensive, the player has the option to reset the scenario and try a different tactic. The Serious Game will be released on mobile platforms in May 2014. Kognito was established in 2003 by co-founders Ron Goldman, CEO, and Glenn Albright, Ph.D., director of applied research. Headquartered in New York, Kognito's team comprises 35 full-time learning experts, psychologists, instructional designers, graphic designers, marketing and sales professionals, researchers and software engineers working together to transform health through challenging conversations. Realizing that conversations about health and wellness can be challenging, their core approach is based on research in neuroscience, social cognition and game mechanics. Users move through realistic scenarios at an individual pace. 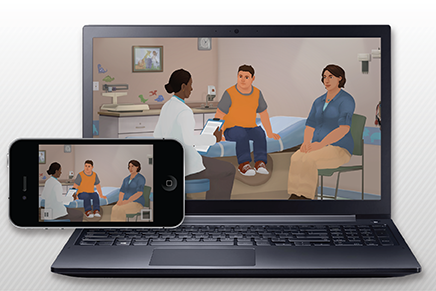 They practice and role-play real life situations by talking with virtual humans, building their skills in motivational interviewing and other evidence-based communication techniques. Kognito learning experiences address chronic disease, PTSD, behavioral health, suicide prevention, substance abuse, screening and brief intervention and social change, among others. Their clients include more than 450 organizations in 43 states and represent a growing list of state and local health agencies, divisions of Veterans Affairs and the Department of Defense, American Academy of Pediatrics, NAMI, universities and schools, hospitals and NGOs.